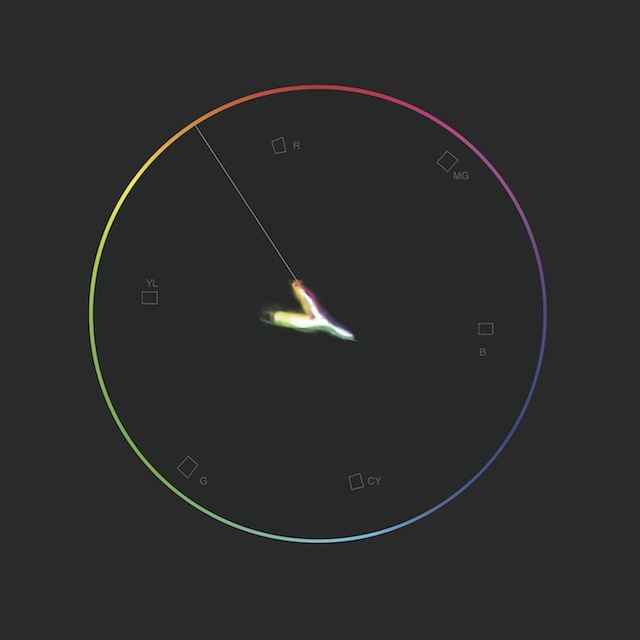 Video-makers frequently use a tool called vectorscope to measure frames saturation and hue. The color balance of a film is based on a line technically called flesh line, where all the human tones arrange on. It’s a work in state of project but is very interesting how, unlike ours, the artificial eye in just a look put us on the same level. The project is based on the interaction between the spectator and the projection through our smartphone webcams. Filming ourselves or the others it will be possible to see the vectorscope moving, in real time, following the human flesh line. In this variation of the project we are in the presence of one of the most important person who fights for black people rights, Martin Luther King. His powerful oratory contrasts with the coldness vectorscope but, incredibly, the spot around his flesh line seems like a flaming sword.